Dove hearing stock an unbeatable range of hearing aids in Staffordshire. Unlike our national competitors who are usually supplied by two or three brands, we are supplied by all the leading manufacturers including Phonak Lyric, Widex, Oticon, Starkey, GnResound and many more. We are also upto 50% less than our nation competitors. The choice we have on offer and 40m years experience in Staffordshire means no matter what your hearing problem we will be able to help you find the right solution. 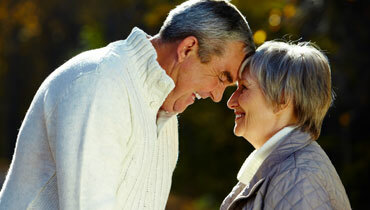 Hearing aids have never been more advanced in terms of their capability to enhance your hearing. At the same time, their usability has greatly increased and most require the minimal amount of adjusting or setting up. We have hearing aids in Staffordshire that adjust to the environment you are in, hearing aids that fit completely in your ear as well as fully digital options for amazing clarity. No matter how long you have had a hearing problem or how severe you think it is we highly recommend you come and talk to one of our friendly hearing experts. Most people are not aware of their hearing loss as it is usually a gradual decline you never really notice. However, our clients are often astounded at the difference our hearing aids make and how much of a difference it makes to their quality of life. Dove hearing now offer completely free hearing tests at all our Staffordshire hearing centres. With the latest technology and testing equipment we will be able to help you quickly and effectively. Hearing loss is a serious issue and nothing to be embarrassed about. We are so confident we can find the right hearing aids for you that we offer a full money back guarantee on all purchases. If have any further enquiries then please do not hesitate to get in touch with one of friendly team.